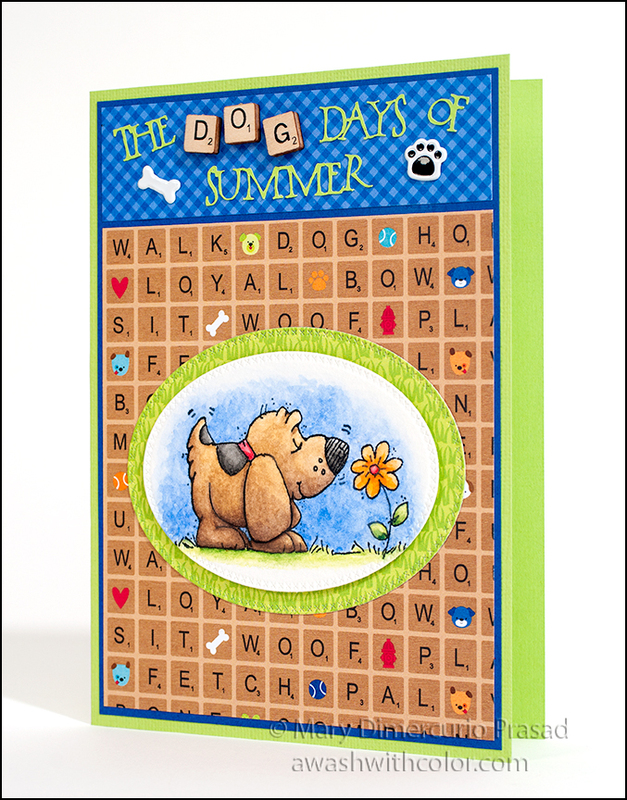 Awash with Color: Dog Days Summer Greeting Card and Giveaway! 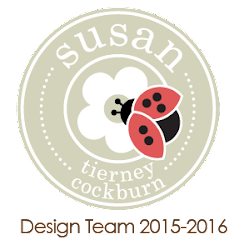 The Xyron Design Team was given a summer theme for this June project. 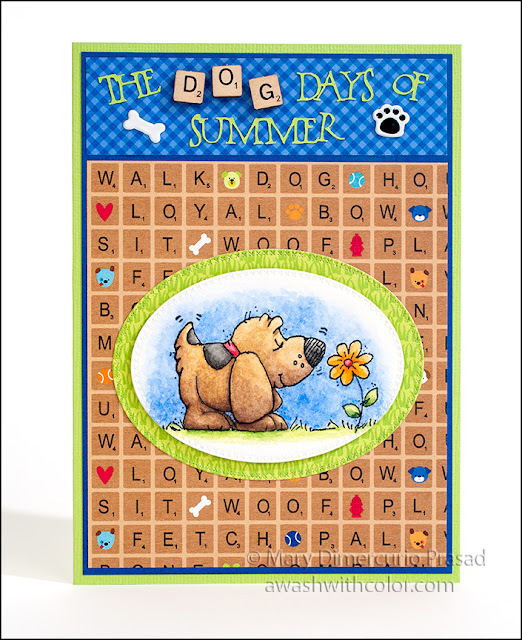 I went through my stamps and found a sweet little dog sniffing a flower, by Whipper Snapper Designs. 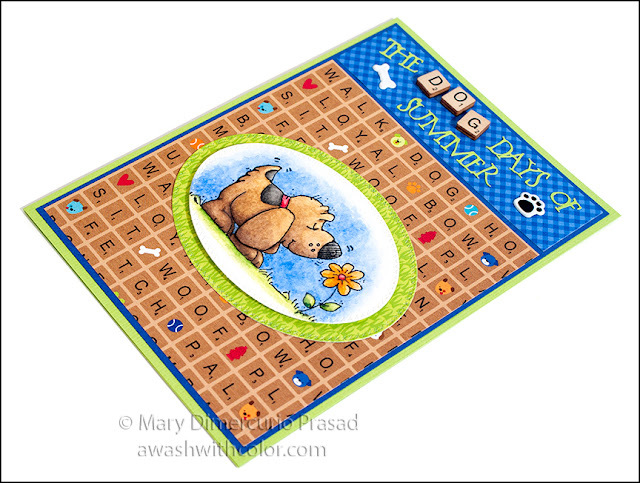 I thought it would be fun to do a play on words with "The Dog Days of Summer." I recently colored an image with Arteza watercolor pencils; this time I decided to use my Faber-Castell Albrecht Dürer watercolor pencils and Strathmore Series 500 Watercolor Paper to see how they performed in comparison. I still need some practice layering (watercolor pencils seem to reactivate more easily than watercolor even when dry on paper) but these were much easier to work with than the Arteza combo. Giveaway: Xyron is giving one lucky person a Mega Runner! Yay! To enter, leave a comment below. I will choose a winner randomly and make the announcement here on my blog next week - the person will have a week to respond. Note: I will try to email if the winner has a valid address listed in their profile (please do not put your email address in your comment). If you would like an extra entry, just subscribe to my YouTube channel and tell me in your comment here that you did so. 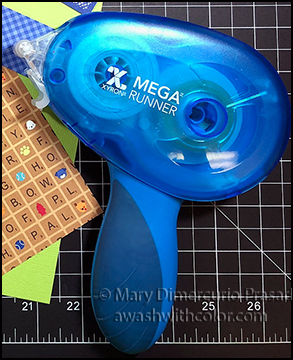 The Mega Runner comes with a 1/2 inch wide 100 foot roll of strong adhesive. Refills are available in 1/2 inch and 1/4 inch versions. Affiliate links may be included in this post. 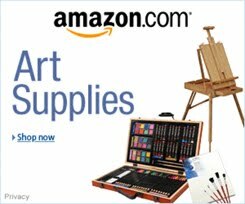 I participate in the Amazon Services LLC Associates Program, Share a Sale, and other affiliate programs; these affiliate advertising programs provide a means for me to earn fees by linking to amazon.com and/or other affiliated sites at no cost to you. This helps offset a small portion of my crafting addiction... uh, hobby. I am truly thankful for your kind support! 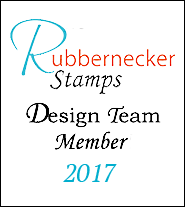 I also receive free products from my design team companies. Regardless, all opinions are my own. I do not get paid for my posts unless otherwise specified. Cookies may be used on this site. See notice at bottom of blog for a longer description. 1. Using VersaFine Clair Nocturne ink, stamp Sweet Sniffs of Spring (Whipper Snapper Designs) on Strathmore watercolor paper (I recommend a Stamp Platform or Stamp Positioner due to the texture on the paper). Although it is waterproof, it is a pigment ink, which usually takes a while to completely dry, so you may want to use a heat tool to set the ink. 2. Color image with Faber-Castell Albrecht Dürer watercolor pencils, using a waterbrush or watercolor brush and water to blend the colors. You may go over darker areas with pencil while paper is slightly damp to get more pigment lay-down. You may find a list of colors I used below Supplies. 3. 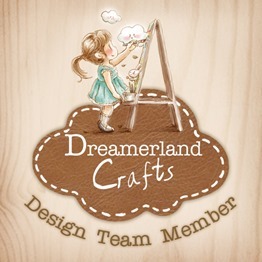 Die cut image with Cross-Stitched Oval. Using the next size up oval, die cut the grass background paper (Puppy Love Paper Pad). 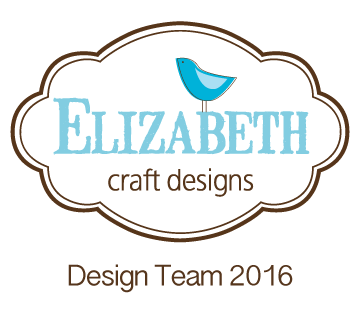 Note: I highly recommend the Sizzix machines for die cutting. I have been very happy with mine! 4. Cut green cardstock 7x10 inches; fold in half to form a 5x7 inch card base. Cut blue cardstock 4 3/4 x 6 3/4 inches. 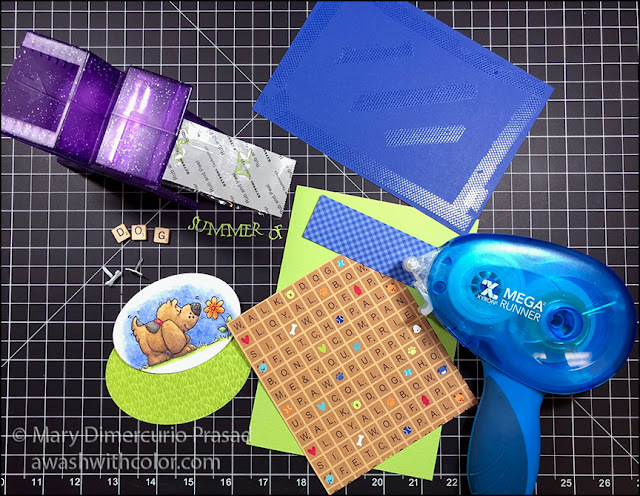 Adhere to card base using Mega Runner (see photo below). Cut dog scrabble patterned paper (Doodlebug Design Puppy Love) 4 5/8 x 5 1/4 inches. Adhere to bottom part of card as shown above. 5. Cut blue gingham patterned paper (Doodlebug Design Gingham-Linen Rainbow Petite Prints) 1 1/4 x 4 5/8 inches. Use Cricut Maker or other digital cutting machine to cut "The Days of Summer" from green cardstock (I used a system font that I thought would be fun with this card - I also welded some of the letters together). Use a Xyron 1.5" Create-a-Sticker to put adhesive on the backs of the words/letters (see photo above). Arrange words and Mini-Scrabble letters (don't stick down the Scrabble letters yet though) on blue gingham piece, leaving room for bone and paw brads. Note: the brads I used came colored - if you can't find them already colored, you could paint them using Vintage Patina in Onyx and Marble, which is made to stick to metal. Add brads where shown. Hint: I used a soft mallet and cutting mat to lightly tap the prongs flat behind the paper. Use Mega Runner to adhere to top of card base as shown (avoid brads). Adhere Scrabble letters. 6. Adhere die cut grass oval where shown. Adhere watercolored dog oval using dimensional adhesive. Watch the following video to create dimensional adhesive using a Xyron 9" Creative Station with Permanent Adhesive. Follow my blog with Bloglovin so you won't miss any of the dog days of fun! This is just darling! I am a new Youtube subscriber! Great card...love the scrabble type paper! Love making dog themed cards. That is a darling card. Thanks for sharing. This is super cute. and that dog is adorable. Very cute card and just subscribed to your channel. Oh my!!! Your card is stinkin' cute!!! Beautiful and funny background! Thanks for this great chance to win! Such a cute project! Thanks for the chance to win! I also subscribed to your YouTube channel. love this card, the colors are great, the image is adorable, the papers are terrific, and the scrabble tiles are cool!